Introduced to reloading by my father as a young teen in the late 1970s, wanting to best improve the accuracy of my first bolt-action biggame rifle, a 7mm Remington Magnum Model 700 BDL, I created my first hunting loads customized to that rifle. Aside from years overseas, I returned to reload again in the early 1990s. Then, in 1994, I became an outdoor writer, writing a weekly column for the pre-ANG buy out The Times of San Mateo County, and all my reloading experience basically went out the window. 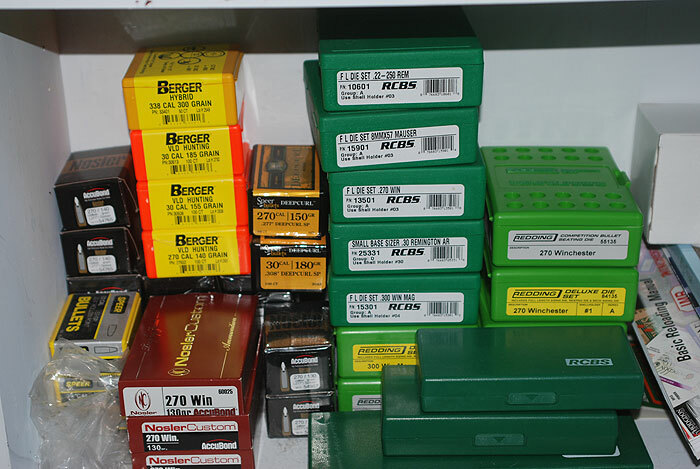 As you might imagine, when you become a gun writer or hunting writer, you get a lot of ammo to test, and I mean A LOT. 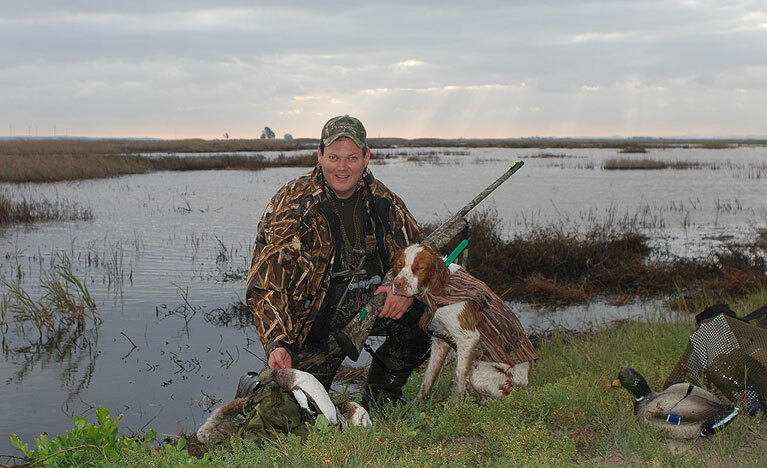 It gets pretty crazy with all the bullet grains, powder charges…one who follows the belief that you pick a good load and bullet and really learn how to shoot it well, my shooting success plummeted…though on many more hunts than I’d ever gone as an average hunter, game was getting scarce in my freezer. Now it was definitely not from want of accuracy from the ammunition I was getting to shoot. For one who was trained and deployed as a sniper, it was just all the variations in cartridges within a week. One of the reasons snipers can seem almost magical in the types of shots that can be pulled off is because of a deep relationship you form with your rifle, understanding how your body acts and reacts to the process of shooting and the deep knowledge gained from shooting a certain load: over, over, and over again. With all the improvements in factory-loaded ammunition over the years, except for the very fine-tuning of taking a rifle from under 1MOA to half or quarter MOA, factory ammo was shooting nearly as well as my reloads. I just started making shorter shots, keeping them less than 350 yards. But, now that I’m writing more and more to show the efficacy of ethical long-range shooting as a tool of wildlife management and conservation, custom reloading is mandatory for long shots. You can get match ammo, such as that made for the military and law enforcement, but they come with bullet types inappropriate for anything other then puncturing a military/law enforcement target’s armor or exploding the back end of said target’s melon. If you want to get better than 1/2 MOA accuracy to ethically and confidently take long shots, or just be sure that you rifle is shooting the absolute best load for that specific rifle in your gun safe, and have a bullet designed for taking down game, reloading is the way to go! Like getting on a bike after way too many years, all those parental warnings about reloading (rightfully taught so that you don’t get lazy and do something really stupid, like loading a double charge of powder) came rushing back. But, like all warnings, these are just to make sure that you pay attention when you’re reloading. 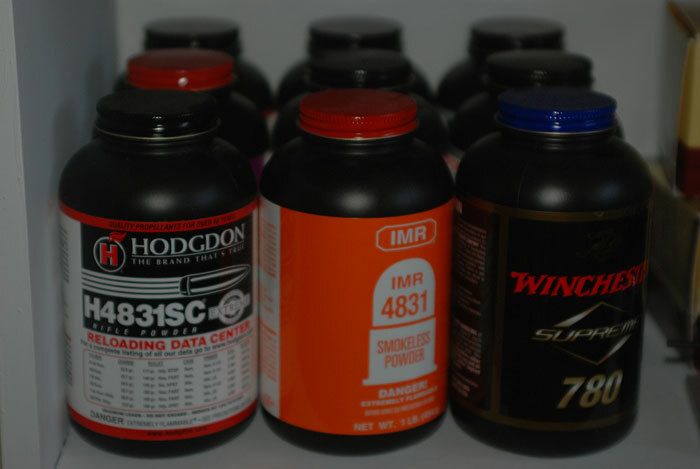 Remember that your reloading success is based on non-variations within load groups. This means not only making sure you keep a consistency within a group of loads, bullets sizes, shapes and age of brass. It also means keeping your work area clean. Nothing throws off continuity and consistency than a dirty work place. This means keeping clutter down. When you setup your area, make sure everything is going to be in the same neat place. I have my workstation set up to work from right to left. 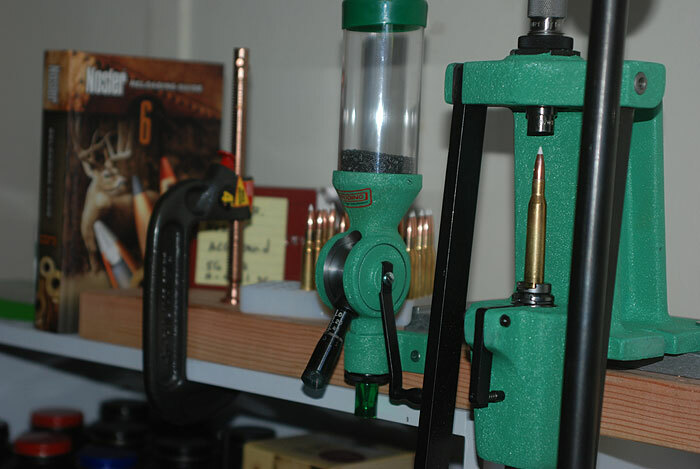 Measuring devices and powder are on the left side of the surface area, in the middle are the cartridge trays and primers, and the bullets are on the right, near the reloading press. Most all make sure that all grease and particle-collecting material is removed from the equipment. For example, Robin Sharpless, Exec. VP at Redding-Reloading, advises to take some Hoppe’s to the metal inside area of the powder throw that will come in contact with your gunpowder. Wipe it down with a clean paper towel again. For the plastic tube run a dryer sheet, yes, the same one for your laundry, through it. This will keep the static down, and keep powder form sticking to the insides of the tube. Keep your whole working area, neat and clean. With all the dies available, it’s time to bring out the old rifle you didn’t think you could get ammo for! Many become reloaders because they want to reduce costs. This is especially true now as litigation by anti-gun and anti-hunting organizations add to the pricing of ammunition, either through outright increased taxation and legal defense fees. Or, as in the Condor Range of California, by requiring non-lead ammunition, much more expensive to produce when production costs are kept down by product conformity: changing between copper jacketed projectiles and non-lead production, and even coming up with new non-lead alternatives is costly just in itself. It all comes down to money in this society, and it’s good when reloading can lead to savings. According to RCBS Product Line Manager Kent Sakamoto and Chris Hodgdon, Public Relations Manager at Hodgdon Powders, the savings can run up as much as 40 percent. As Sakamoto says, there are savings to be made, but what happens is that you end up spending the same amount, it’s just that you get much more for your money. Instead of 100 rounds, you get to shoot 140 rounds. Personally, I’m in it for the accuracy and it helps that the savings are definitely there! What About My Old Stuff? My start began with a classic Lee Handloader, then we graduated to a mishmash of RCBS and Lyman presses and accessories. The greatest trepidation in getting back into reloading often is that much of the equipment would be so outdated that it won’t fit or work with any of the new releases. As long as you stay with the same manufacturer, this isn’t the case. You should be able to use the new accessories or major purchases with the older equipment. Not only that, but you might even be able to use equipment across brand lines. This hit home when I realized that I didn’t have a Redding shell holder, but the RCBS shell holder served the purpose in a heartbeat. Now many in the manufacturing business might think this is nuts—how are you going to make any money if some products are interchangeable with another? As one who has been furious with a number of printer manufacturers over the years, because they always want to corner the printer ink market (what are you going to do when you can find the specific ink cartridge for your specific printer is no longer available, as often has happened?) I’m a loyal customer of companies who simply rely on turning out a great product and just leave it to the customer to respect a customer/provider relationship based on longevity nurtured by reliability. It’s an old relationship started with RCBS years ago, and now being nurtured through Redding-Reloading, whose great line of products of also speak for themselves. They build products that work efficiently and you can trust not to fall apart after only a few years of use. Most importantly, they understand and respect the idea of product compatibility….wouldn’t it be cool if every shotgun had the same thread and fit, so that canyou focus on the best choke for your shotgun and duty, instead of what’s available to fit your specific brand of firearm? STARS AND STRIPE FOUNDATION SIDE NOTE: As you may recall from last week’s post, I was on my way to the Stars and Stripes Foundation Celebrity Shoot. The Chuck Mawhinney-signed sniper’s rifle kit is still being raffled HERE. 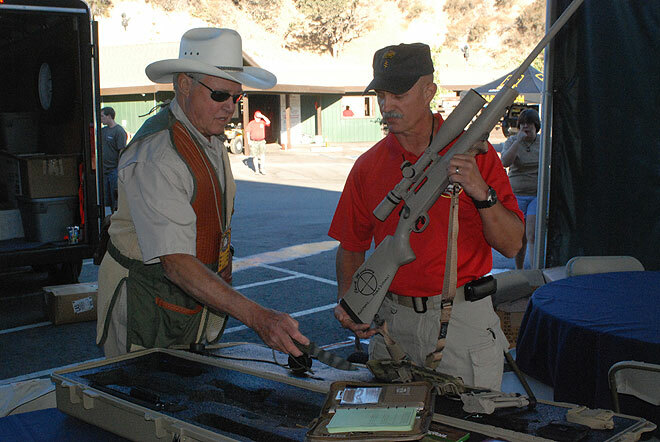 Vietnam and Hollywood Veteran Steve Kanaly and CSM Mark Christianson checking out the Chuck Mawhinney-signed longrange tactical kit with matching serials numbers. Below you’ll find two strings of interviews with representatives of RCBS and Hodgdon Powders. There is another great interview in part two of this article with Redding-Reloading. It’s worthwhile information for getting back into reloading after a long hiatus. And if you’re just thinking of getting into reloading, I’m sure you’ll gain a lot more from listening to these specialists. Getting started can be daunting. Often this is because you’ve probably read the same books and magazines as I have, with a photo of the author’s reloading bench. 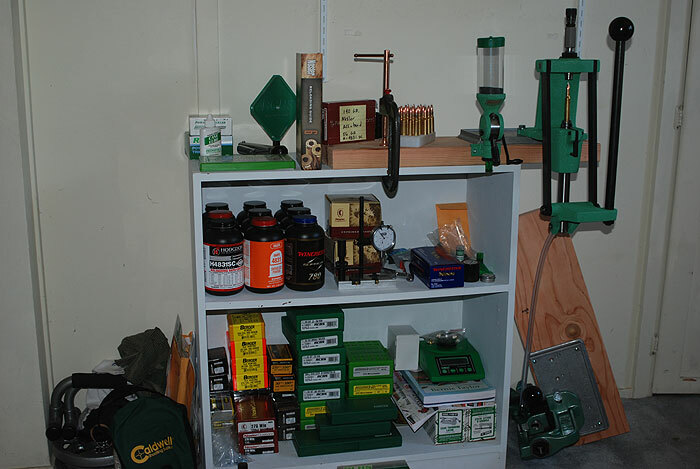 What’s frequently missing is the disclaimer at the bottom of the photo stating the writer had started building their grand reloading station over 30 years ago. Now, if you have the money and the space, like a quarter of your basement or garage, by all means! If you’re like me, where space is a high commodity, you can build a pretty effective reloading bench from something as simple as a mini-bookcase. A few little alterations and customizations and you might even be doing better than a large, immovable behemoth of a reloading bench. With some suggestions from RCBS’s Kent Sakamoto, I mounted an RCBS Accessory Base Plate on a 2×10 piece of lumber and then, because of cross-compatibility, mounted a Redding-Reloading Ultra-Mag Reloading Press on the base plate with bolts and washers provided, also screwing a Redding Master Powder Measure into the side of the plank. Repeating the same with an RCBS Rock Chucker Supreme mounted on the base plate on another plank, I now have the ability to adapt to a number of upcoming planned articles on reloading. If you’re ever heard the term “Two is one and one and none”, you’ll greatly appreciate this setup. All you have to do is untighten the C-clamp and trade one press system for another. Also, for an upcoming piece on field reloading, I can easily take the second press with proper dies and relaod ammuntion right at the site of hunting or shooting range…just like I used to do for troutfishing, bringing a flytying kit to the streamside. Most importantly, with an elegant white motif to the bookcase and compact size, I have an excellent setup for anyone living in an apartment, or anywhere that space is hard to find. Finally, in what better scenario, other than actually being out in the field, can you build a deeper relationship with your son, daughter, wife or husband in shooting? This is very serious stuff we’re talking about. Screw up the process and someone’s going to hurt, either at the reloading bench or at the range. If you and your children don’t really communicate, you will be by the time you’re done with your first round of reloading. You’ll be communicating well, checking to make sure that every cartridge is properly charged with the correct amount of powder. Brass resizing instructions will be made clear. Even making sure that right primers have been used will be second nature. Then, when you’re done, your loved ones will have something tangible in their ammo boxes, ready to find out what kind of load gives the best grouping at the range. You’ll also have read one of the many books on reloading to just be sure, such as those printed by Speer, Sierra, Nosler, Lee, and Hornady. Remember to get a Reloading Manual! You’ll have taken the steps and following them to the letter, you’ll have a finished reloading collection of rounds to take to the range and check to find the best combination for your rifle. Then, you’ll reload a full box with your latest recipe. You and your loved ones will head out into the woods in search of that elusive bear, pig, deer or whatever is your local wildgame of choice, and you’ll make a perfect hit. The animal will suffer its least painless possible death because of speed and efficiency of kill. Then, you’ll begin the butchering process for your family table’s bounty. Rewarding is an understatement. I still remember the first buck I shot with a cartridge I reloaded myself, just as dearly as the first trout, steelhead and salmon caught on a fly I tied myself. Below you’ll find an interview with a representative of Redding-Reloading. It’s worthwhile information for getting back into reloading after a long hiatus. And if you’re just thinking of getting into reloading, I’m sure you’ll gain a lot more from listening to the specialists and in part one of this article. You may have noticed there are some advanced pieces of equipment stored in my bench photos, that go beyond normal entry into reloading. 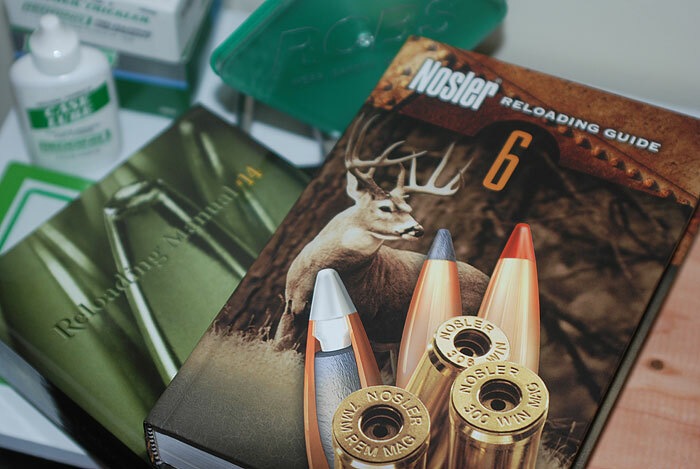 In futures articles I’ll be writing about how to best use them and get a level of accuracy out of your bullet that is impossible to get from mass produced ammunition…unless you spent many thousands of dollars on a case of custom ammo!